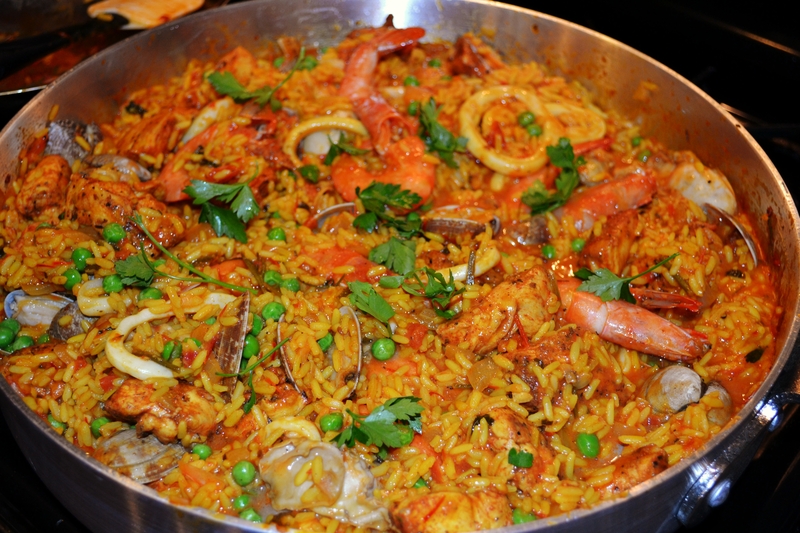 The first time I had paella was when David and I toured Spain for our honeymoon. 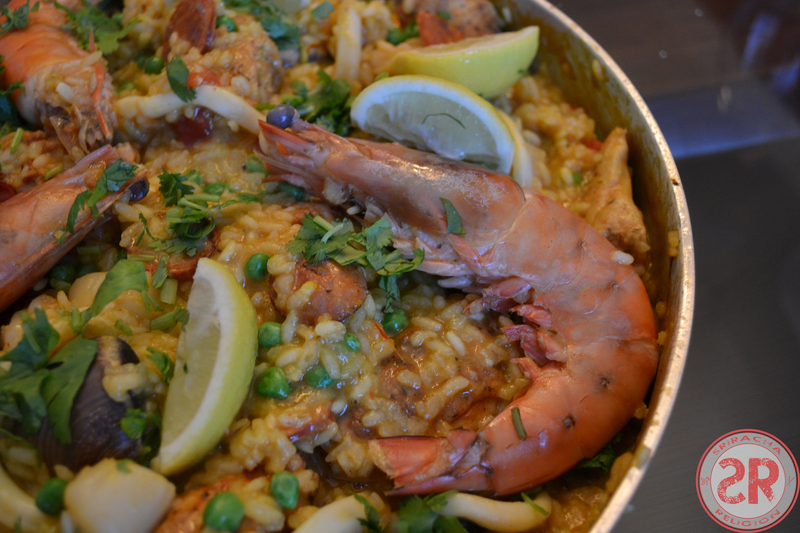 As a true fan of all things rice related, I instantly fell in love with this Spaniard signature dish. There seem to be countless variations of paella. 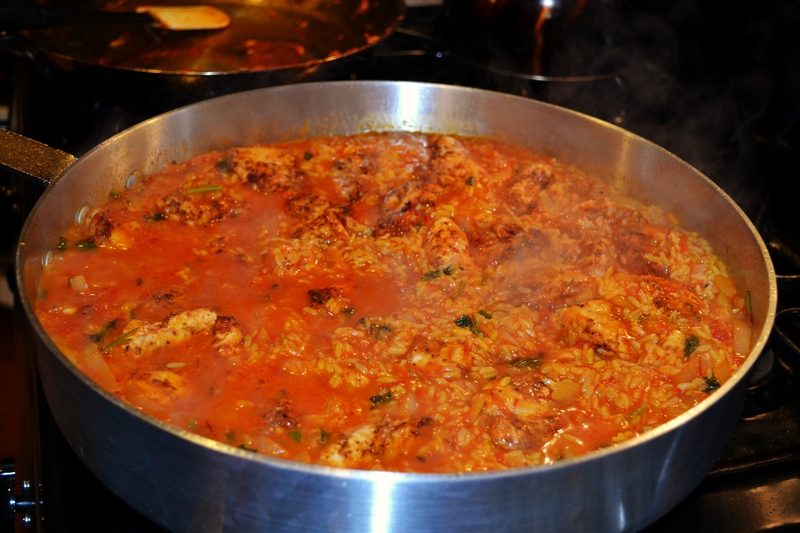 A layer of rice is cooked in saffrons threads, tomatoes, and stock. Then, you decorate your paella with endless options of protein and vegatables. 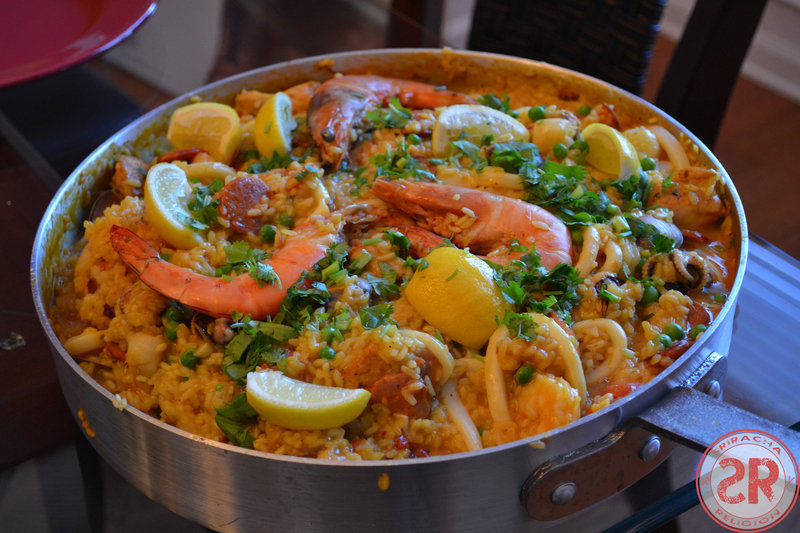 This is what I love most about paella. It is a blank canvas that wakes your culinary creativity. 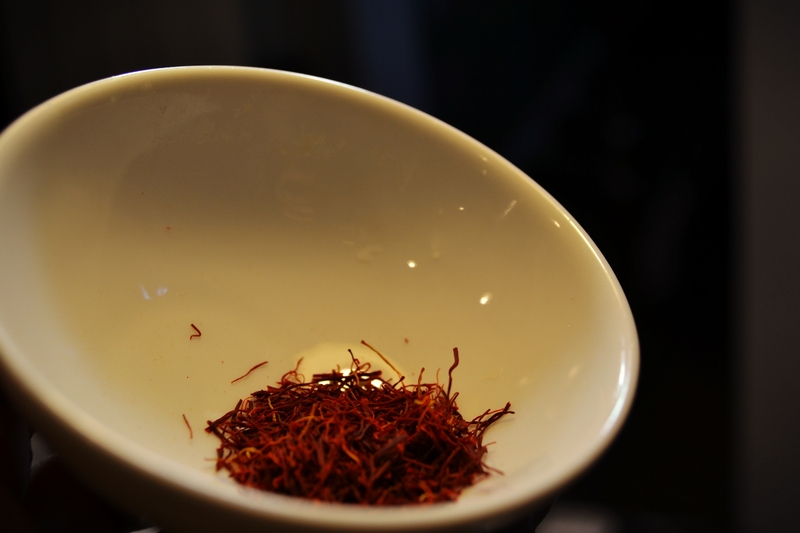 While many paella recipes call for yellow food coloring instead of the authentic saffron threads, I highly recommend using saffron. You can usually find this at the spice section of your local market. It is a bit on the expensive side, but every thread goes a long way. Saffrons are tiny little stems hand picked from a type of flower called crotus. It gives a distinct sweet, floral essense to your dish. David and I created the recipe below using what we have in our fridge and pantry. Try it and let us know what you think. We guarantee, it will impress your dinner guests. 1. 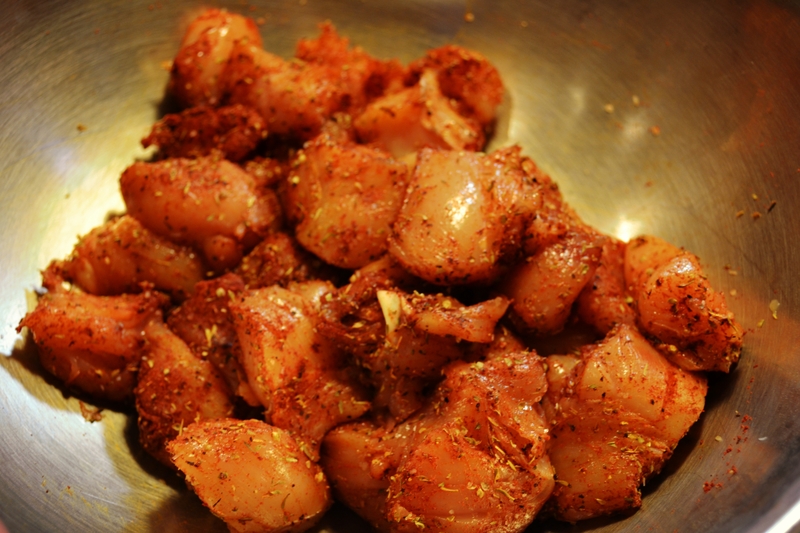 In a medium mixing bowl, combine paprika, dried oregano, and chicken. Season with salt and pepper and mix well. Let the meat marinade for at least 30 minutes. 2. 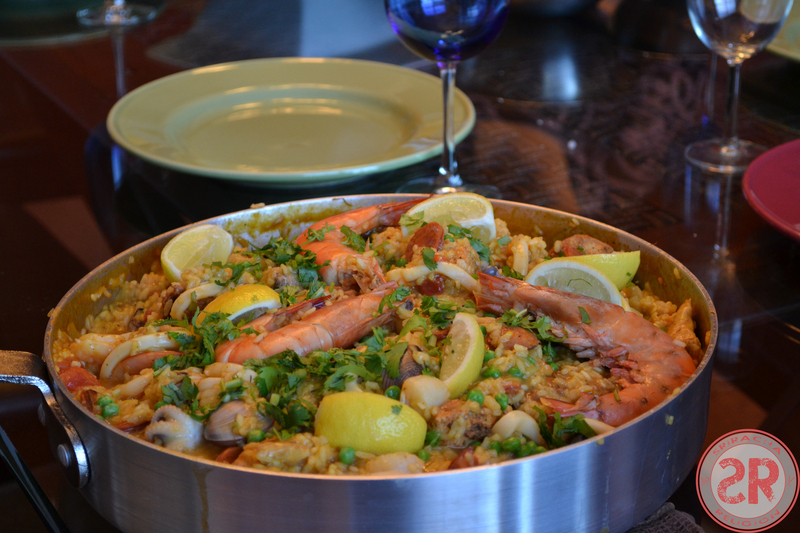 Use a large, shallow skillet (bonus points if you have a paella pan), and heat olive oil over medium heat. 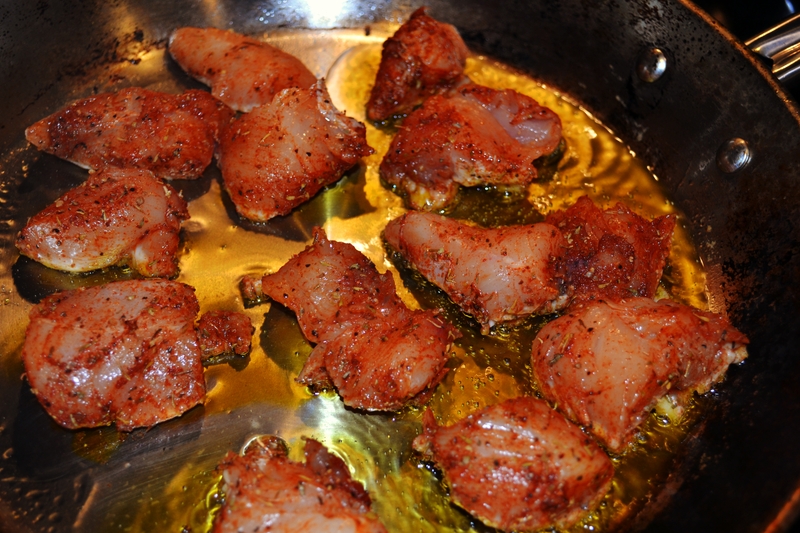 Lightly fry your chicken until it is brown on all sides. The chicken does not need to be fully cooked at this time. Remove your chicken from pan and revisit later. 3. Using the same oil in the same pan, saute your garlic and onion. Add 2/3 of the chopped parsley. Reserve the rest of the parsley for garnish. 6. Pour in your seafood or chicken stock, let your rice simmer, for approximately 20 minutes, to soak on all the flavors from the pan. Add the saffron threads and stir evenly with the rice. 7. Bring the chicken back to the pan and mix well. Season with salt and pepper. Simmer for another 10 minutes. 8. Then add the clams, oysters, squids, and shrimps. At this point you want to refrain from too much stirring as it might tear your raw oysters. Let it continue to simmer for another 10 minutes. Add your peas and wait another 3 to 4 minutes for it to warm up. 9.. You’re almost there. At this point you should see your rice starting plump and filling up the pan. 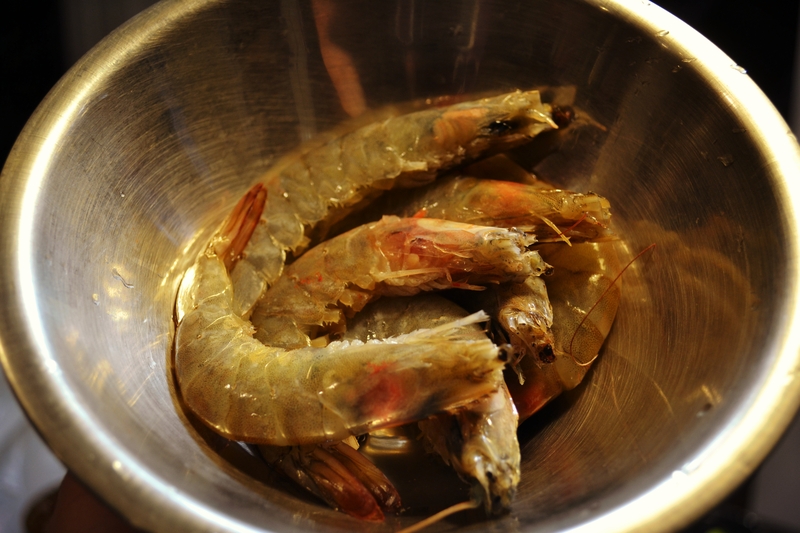 Your shrimps should be a brick-red color, and your clams should open up nicely. 10. Give your rice a taste. It should be moist and done at this point. Turn your heat up high for about 1 minute to create a nice crust on the bottom of your pan. This will be the best part of your paella. 11. Turn off heat. Sprinkle your paella with the remaining parsley. Add lemon wedges on top when ready to serve. 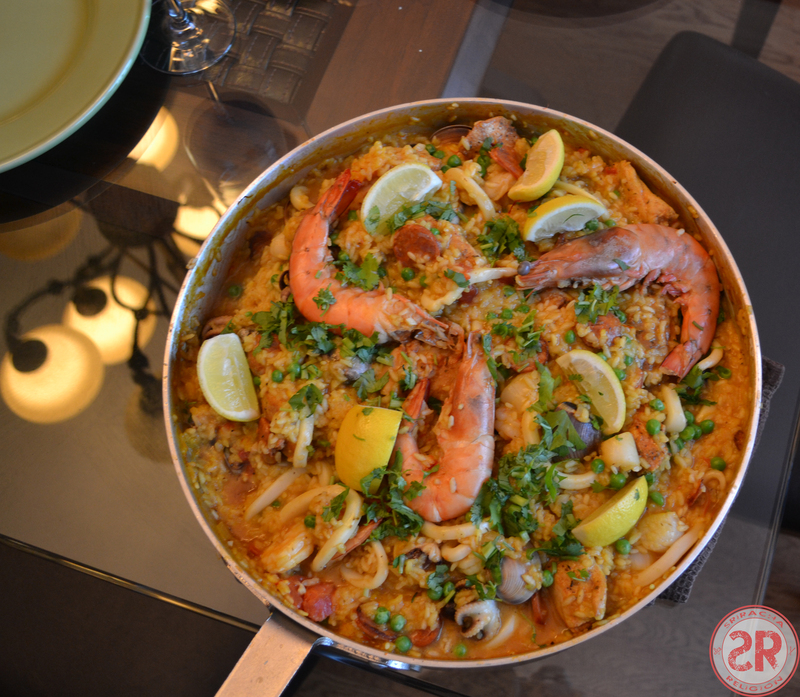 Paella is a meal to be share. Bring the entire pan to the center of your dining room table, squeeze a few wedges of lemon above your rice. Everyone gets a fork and dig in! Now feed your hungry, crying baby. Don’t forget to feed your hungry, crying high school friends!